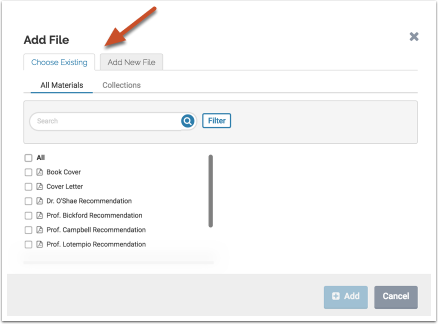 You can organize the materials in your Dossier by creating "Collections" of related materials. These collections can be shared or sent later. 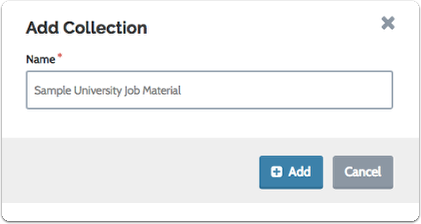 For example, create a collection of materials you are going to use for a specific job application. 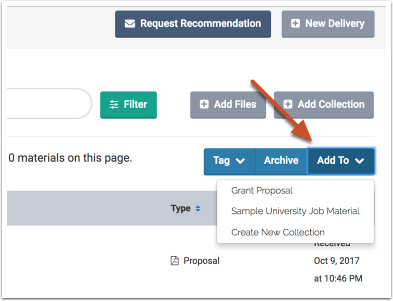 You could also create a collection that gathers together materials you typically use for applying to particular types of positions or fellowships. 1. 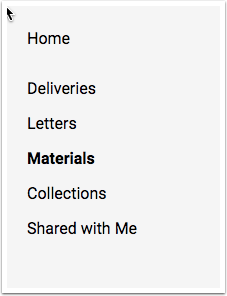 Open "All Materials" and select one of more files in the list to add them to a collection. A new button will appear to the right of the page. It may be useful to create and add tags to your materials so they are easy to find, to create reminders for yourself, or for any purpose you choose. 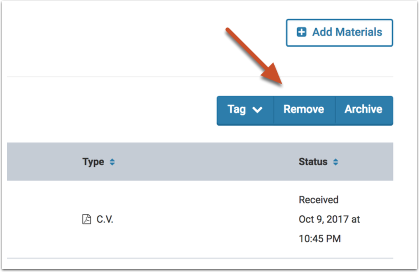 You can follow the same basic procedure to add tags to your materials, as in your general materials. When you remove materials from a collection, you are not removing them from Dossier. The materials will remain in the list under "My Materials," and will remain in other collections. 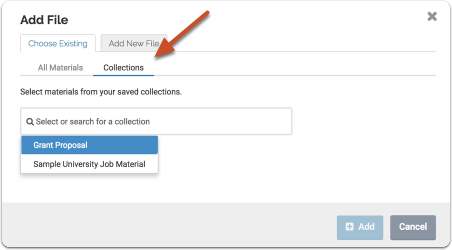 Click "Select" to the right of the page where your collections are listed, and select "Rename" or "Delete"
Deleting a collection will not remove the materials it contains from your Dossier. Click here to learn more about feedback and sharing for collections.